After waking up in Cody and saying goodbye to Hannah, Mike and I headed over to the Buffalo Bill Center of the West, considered the Smithsonian of the West due to its massive collections. The museum has 5 major sections, each taking about 1-2 hours to complete. Given that we only had 2 ½ hours in the museum, we had to pick and choose. Because the museum is called the Buffalo Bill Center, we first went to the section on Buffalo Bill Cody. In addition to being a skilled hunter, actor, and world traveler, Cody also helped build the town of Cody. The exhibit was recently redone and is state of the art. In addition to relics owned by Buffalo Bill, the informational sections were clean and used a lot of multimedia. The second section we visited was the gun collection. 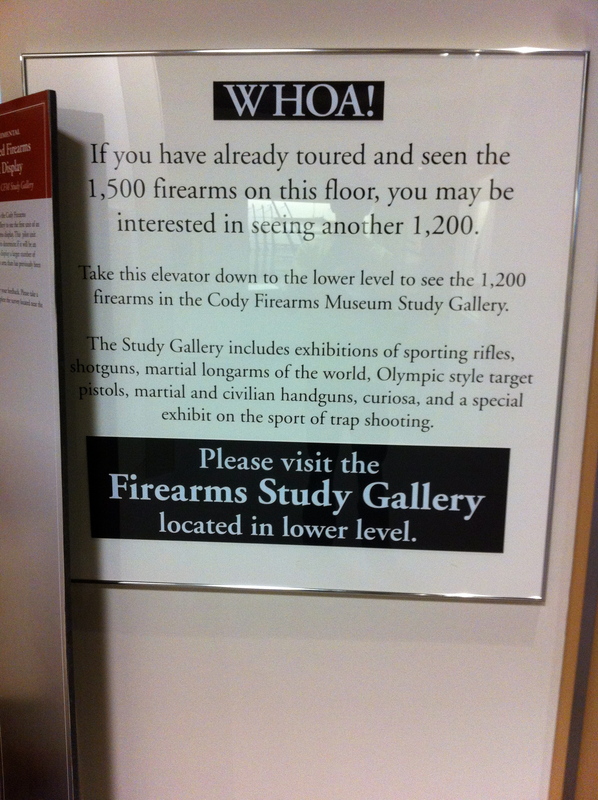 The museum houses perhaps largest gun collection in North America with over 5000 guns on display. The guns are from all time periods from all regions of the world. Some of the more unusual guns include presidential guns and one that was a gift from Catherine the Great of Russia to King Louis XV of France. The final section included western art. This was my favorite section, as it is so easy to reminisce about the American West. In addition to Cast 1 Remmington sculptures, the museum had a copy of my favorite sculpture, The End of the Trail by James Earle Fraser. After the museum, we now had a long drive ahead of us. However, I have always wanted to get cowboy boots to wear at country bars and concerts and felt that Cody, Wyoming was the perfect place to get them. Indeed it was as I found a nice pair of Lucchese boots. 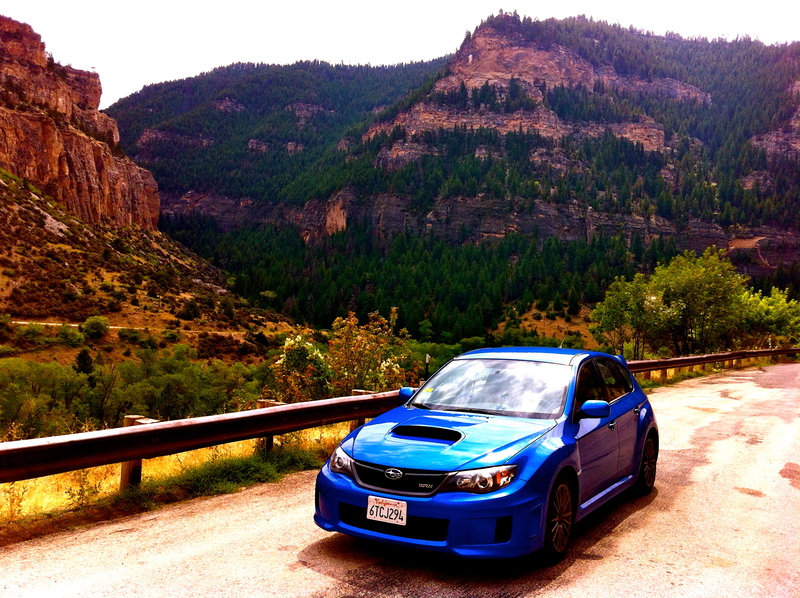 While Yellowstone and western Wyoming are very mountainous and scenic, most of the state is flat and dull. The next 6 hours of driving confirmed that expect for 60 miles in the center part of the state in the Bighorn National Forest, the road climbed to a trip record of 9550 ft.! The mountains were very unexpected and amazingly scenic. We then had lunch in the town of Buffalo before pressing on to Devils Tower, a volcanic plug that certainly towers over the surrounding flat plains. 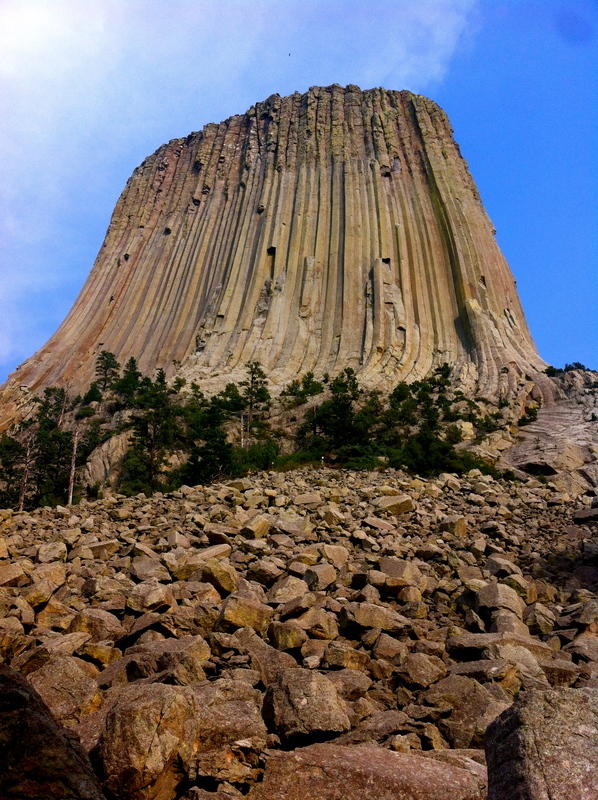 The tower is around 800 feet tall and is a popular rock climbing spot. We walked around the tower before moving on. Our final stop for the day was Mount Rushmore National Memorial in South Dakota. This was my first time in the state. Mount Rushmore is much smaller than expected, but still very impressive in scale. The memorial felt like a small American-themed Disneyland with patriotic music piping in and cheeky souvenirs and food items. 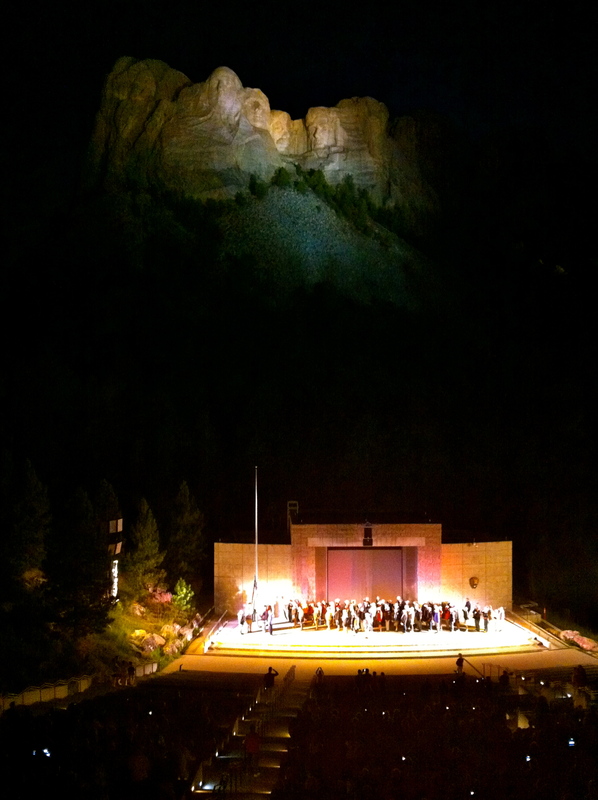 Just after sunset, the memorial has the annual evening lighting ceremony in a large amphitheater in front of the mountain. The ceremony starts with a presentation from the ranger. The presentation, however, felt more like a sermon. The ranger spoke slowly and encouraged the audience to strive to be like the presidents inscribed on the mountain. Next, a movie played introducing the monument that included lots of pro-American propaganda and dramatic music. At the culmination of the movie, the monument was lit as everyone in the audience sang the Star Spangled Banner. While the event was emotional, it seemed very different from any National Park Service unit that I’ve visited because the rangers and media was trying to indoctrinate everyone into becoming more pro-America. That said, Mount Rushmore is such a classic American icon that one should expect a bit of Americana and flag waving. Being pro America is the default position, the indoctrination comes from loathing leftists.